Apple is now rolling out new macOS Sierra software update version 10.12 to Macbook users. 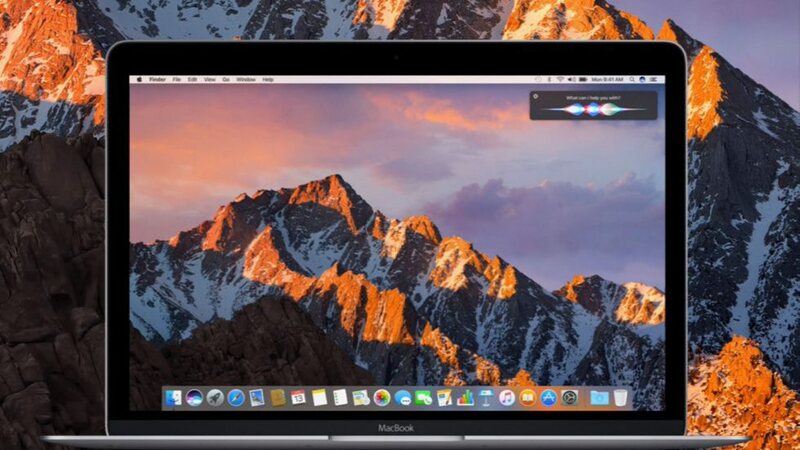 Apple macOS Sierra adds many new features to Macbook including new Siri integration, auto-unlock, Apple pay and more. Apple’s voice assistant Siri is now available for Mac users. Siri does have some limitations on the Mac though. There’s no HomeKit support yet and podcast control isn’t quite ready. You can auto-unlock your Mac with Apple Watch with watchOS 3 in macOS Sierra. If you have iPhone 6 or later running iOS 10 or an Apple Watch with watchOS 3, you can actually checkout with websites on your Mac using Apple Pay in Safari is skip the process of filling out your billing and shipping information. iCloud Drive on macOS Sierra lets you set your desktop and documents folders to sync. The benefit is that you can see your desktop across multiple Macs and on iOS and the web with the iCloud Drive app and iCloud.com. Emoji are much larger now, you can use Tapback to react to specific messages, and rich inline previews show you URLs, tweets, video embeds, and more without you having to click. You can also view a lot of the new Messages effects like invisible ink, handwritten messages, and stickers, although you can’t create these from the Mac and iMessage apps aren’t supported. Apple macOS Sierra includes a new Optimize Storage options that let you manage your data smarter on a low capacity drive. For example, you can set your trash can to empty after 30 days or look for large files that you may want to delete. If you use iCloud, you can also allow macOS Sierra to offload rarely used files from your local storage if you run out of disk space. Apple’s built-in Photos app in macOS Sierra adds a new face recognition engine, the ability to search for objects and scenery, view your faces by location, and more. The new picture in picture feature will let you watch videos in Safari in a pop out window that floats over your other active windows. Now macOS Sierra is making tabs easier for all applications and adding the tab feature to built-in apps like Maps and TextEdit. A new universal clipboard feature is introduce with macOS. You’re clipboard can sync between Macs, iPhone, and iPad so you can copy a line of text on your Mac and paste it in Messages on your iPhone.